Product #21688 | SKU ER89-2 | 0.0 (no ratings yet) Thanks for your rating! The Etymotic Research etyBLU2 Headset delivers the clear conversations due to ACCU Noise Reduction Technology. This patented technology reduces noise by at least 30 dB at the microphone and earpiece providing speech intelligibility and conversational clarity. It is made to fit Bluetooth wireless devices with profiles 2.1 and 1.1 or later. A high definition microphone with a close proximity boom ensures the optimal speech clarity in all environments. 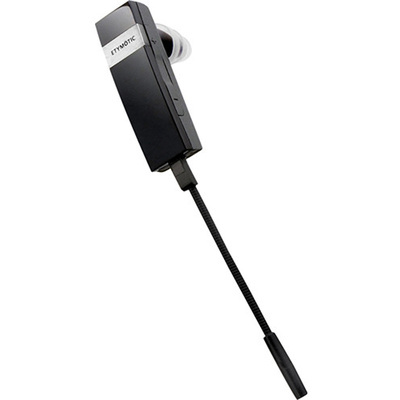 The headset uses a high-output amplifier and an 8.0mm neodymium driver for the clearest, most accurate sound quality and speech intelligibility. Five ACCU•Fit ear tips are included.